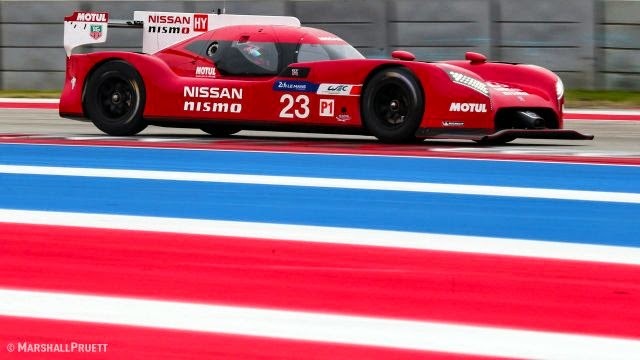 Nissan announced last year that they were entering the LMP1 program. Audi, Toyota, and Porsche all have programs for LMP1, and the 2015 24 Hours of LeMans. Audi has run with a mid engine diesel, Toyota, and Porsche both have rear engine hybrids. 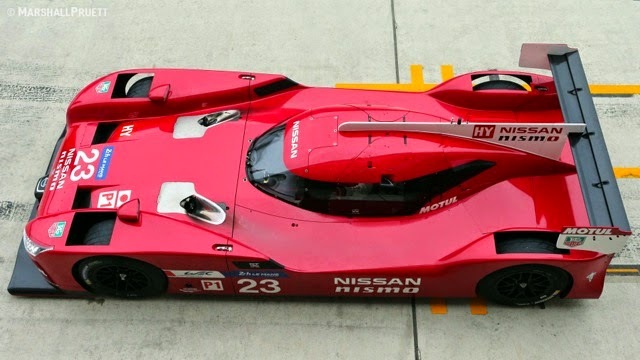 Nissan decided to go different with a front engine, front drive, 1500 horsepower hybrid. It is an odd looking car, and with that much power going to the front tires, we will have to see how they will survive. An FWD LMP1-H design. Friends, that’s just batshit crazy. Some of the numbers being mentioned as possible combined horsepower and KERS power took the concept to the outer edges of reason. Marshall explained the early targets were in the 2000hp range with the use of an 8mJ “double” Flybrid system fitted to the car, but practical limitations lowered the bar to approximately 1500hp. For the full story, with tons of technical insight, and pictures, head over to Racer Magazine.